It’s no secret that many people dislike Windows 10 for its look or spying. You can take my word for it, I tried it, I was using it for a year. The instability did not bother me that much. The looks is what bothered me, I just couldn’t stand it then as much as I can’t stand it now. I feel depression when I am working in Windows 10. It is good OS, it is modern, no question about that, but there is something off with it and I can’t describe it. It just doesn’t feel right. Maybe it will one day, but not today or tomorrow. However, it is still a better OS in many ways than Windows 7, but not much better than Windows 8.1. The real winner here is Windows 8.1 OS. I was a dedicated Windows 7 user. When Win8 or 8.1 got released, I was one of those people who spat on it saying how ugly it was and that 7 is obviously much better OS. 90% of those people never even tried to use the new OS, and the main reason it got rejected was the infamous “Start” menu. Today, finally, when I have tried it, I can say that its Start menu rocks. The whole system rocks. Windows 8.1 is amazing. I am running Windows Embedded 8.1 Industry Pro. It’s the same as normal 8.1 Pro, but lighter on system resources. Windows 7 is aging, and rounded Aero GUI is looking more and more outdated. I do not feel comfortable after 10 years of usage to keep doing “everything manually” and to fight the same problems over and over. It IS time for an upgrade. I want a little bit smarter OS. With Windows 10 you get to have a “future-proof” system and few extra good features, like Cortana. But do we really need or want features like Cortana? Not really. Cortana does not make Win10 a better system. From newer Windows version one always expect it to be superb over previous versions. You would want it to run faster, feel faster, look better, does all the tasks better and is a bit smarter. 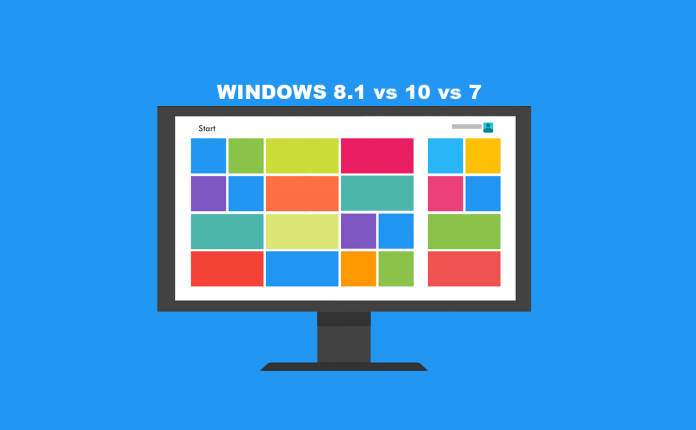 Looking at Windows 8.1 you do get system like that, compared to Windows 7. It does run and feel faster, it does all the tasks better and, to be honest, looks better (more modern but still feels like 7). The start menu is better, bigger, snappier and more beautiful than a hybrid start menu in Win10. It is superb compared to Windows 7. One does feel “the upgrade”. You still have the same Personalize settings as in Win7, the old-school Control Panel + extra PC Settings, Charms, excellent notification system, app control and everything good that Win10 offers but without clutter, spying or other complications. Everything, starting from task manager, is much improved and optimized. The whole system’s kernel is better, everything is better. By today Windows 8.1 is polished and it runs superb. You do not even need an Antivirus. Windows Defender is phenomenal antivirus comparable to any premium antivirus out there. I do however have license for Norton Security, but I am not sure will I used it on this system. System restart and boot-up time is around 30 seconds altogether (no SSD). Incredible. All that after all software installed and ready. Win10 was never able to get this fast using the same apps as with 8.1. Playing games, browsing, copy-paste, zip-unzip, Fireworks, Photoshop, torrents, everything works better in 8.1 than in any other (Win10 or 7). Windows 8.1 is supported for the next 4 years (until 2023). I hope that Windows 10 will be more beautiful by then and that I would be able to say the same things for it as I said for Windows 8.1 in this post.